Monthly board meeting to review Chamber goals and progress - by invitation only. 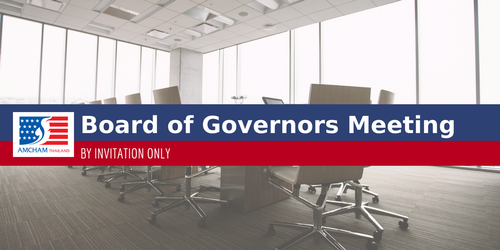 Detailed minutes of all board meetings are made available to AMCHAM members within the members-only portal. Please login to download minutes (available under the "Resources" tab inside the members portal).